﻿ Hively » How Do I Use Hively with Kustomer? How Do I Use Hively with Kustomer? It’s easy to insert Hively rating snippets into Kustomer. Now you can measure customer satisfaction for each of your team members through your Kustomer email templates. Here’s how to do it. Log into Hively and click on the menu in the top right, then select Integrations. Select Kustomer from the integrations list. Next, for each Team Member listed enter the Kustomer user id. User ids can be found in Kustomer be selecting Settings (the cog icon), then ‘Users Management’. Click the Edit icon for a user and you’ll see their id in the page’s URL. E.g. if the URL ends in …/edit/abcde12345, then that user’s id is abcde12345. Next click Get Kustomer Snippet and switch to the HTML view by clicking Show HTML. 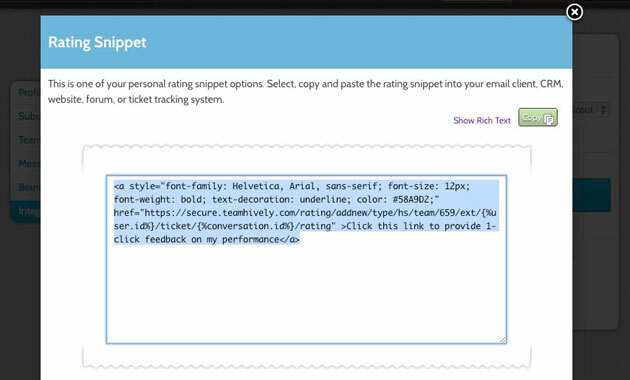 Select and copy your snippet’s HTML. Go back into Kustomer and edit the email templates you want to have the snippet appear on. If you haven’t set any templates up yet, this article walks you through the process. Select the template you want to edit in Settings > Templates and click the Edit icon. Here, you’ll see the layout for your template. Paste your snippet into the layout and click Save. 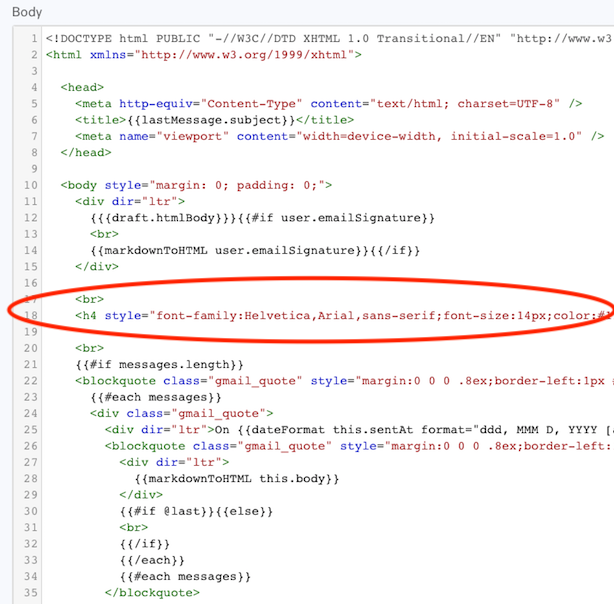 The screenshot below shows where to add the snippet if your layout is like the default template and you’ll notice that we added an extra line break (‘<br>’) directly above the snippet just to add a little space between the message in the email and the snippet.